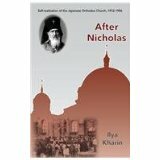 I’ve recently ordered a copy of ‘After Nicholas: self-realisation in the Japanese Orthodox Church’ published late 2013, and I’m rather excited by it! You can read more about it here but the book outlines an important chapter in Orthodox mission history that is not widely known and not always understood within the broader context of Russo-Japanese relationships in the 1912-1956 period. I’d encourage you to order a copy via Amazon or Bookdepository.com as it fills an obvious gap in the English-language versions of this story. It’s available in print or E-PUB format. 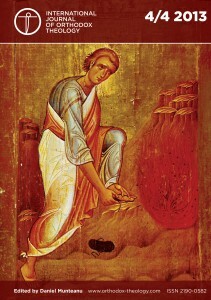 Orthodox and evangelicals each have a rich and unique missions history but no modern history of collaborating in missions together. 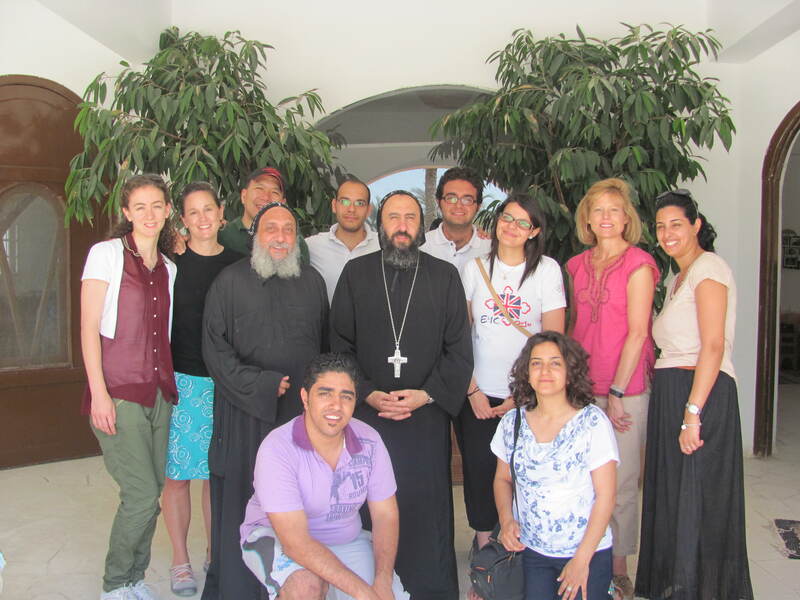 The Lausanne Orthodox Initiative leadership, in keeping with its goal to work towards better understanding, cooperation, and mutually strengthening each other in the work of mission, piloted a joint project in Egypt during the summer of 2013. This pioneering effort would be a picture of what is possible; a simple beginning to be built upon, a case study to critique, and a catalyst to inspire hope and further collaboration. 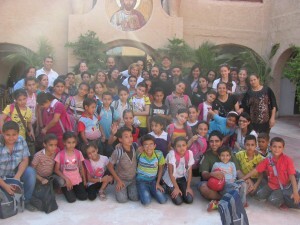 The missions project brought together volunteers from the Coptic Orthodox Church in the United Kingdom and Egypt and evangelicals from the United States ministering to over 175 children from poor villages in Upper Egypt for four days at the beautiful and peaceful Coptic Anafora Retreat Centre outside of Cairo. Our goals included: being mutual learners of the other’s mission methodology, priorities, and practices while at the same time engaging together in Gospel proclamation and service to the glory of God. 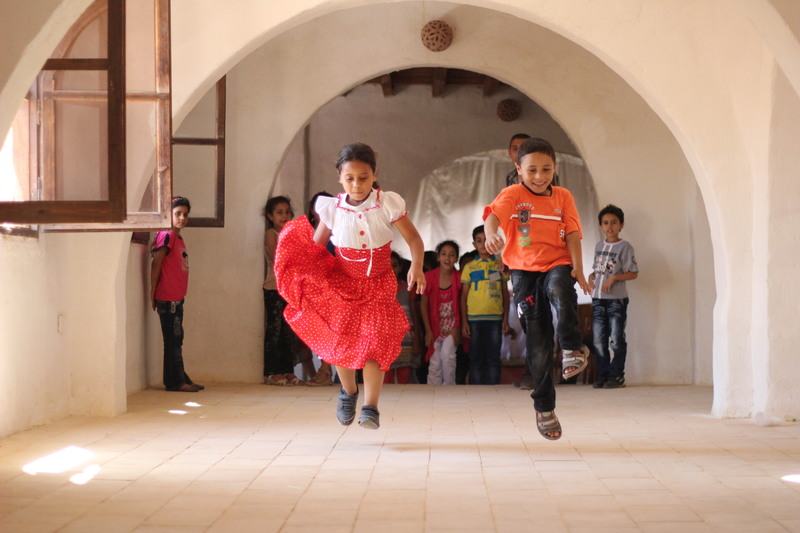 The project was coordinated by His Grace Bishop Angaelos from the Coptic Orthodox Church and Leslie Doll, an evangelical from the United States. The entire project revolved around the theme of “empowerment” and all activities undertaken by volunteers and children alike addressed this theme. In the spirit of being ‘Empowered Beyond Belief’, the volunteers engaged in daily Bible reflections together, studying Scripture, and contemplating how we, as Christians, are empowered to: repent, endure suffering, love sacrificially, rejoice, and serve. There was a fine balance between the time volunteers ministered to the children and the time they spent in fellowship, prayer, and sharing with one another. 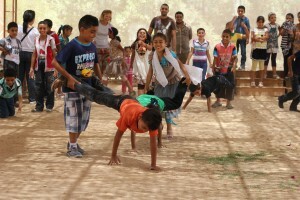 This allowed opportunity for the volunteers to connect on a personal and spiritual level, building relationship with one another, before collectively ministering to the children. 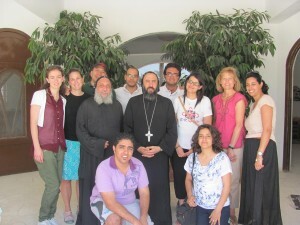 Anafora, being a place of peace and spiritual retreat, provided an excellent environment for this. The team spent the first day touring three desert monasteries in the Wadi Natrun learning more of the history and monastic life of the Coptic Orthodox Church. This time allowed for fellowship, team building, project briefing, and prayer. Over the next three days the children were brought in from poor villages to the Anafora Retreat Centre to participate in the program during the day and were taken home in the evening. During the program at Anafora we provided breakfast, engaged the children in Bible teaching, worship in song, Scripture memory, prayer, health and hygiene instruction, and lots of playful activities and games. 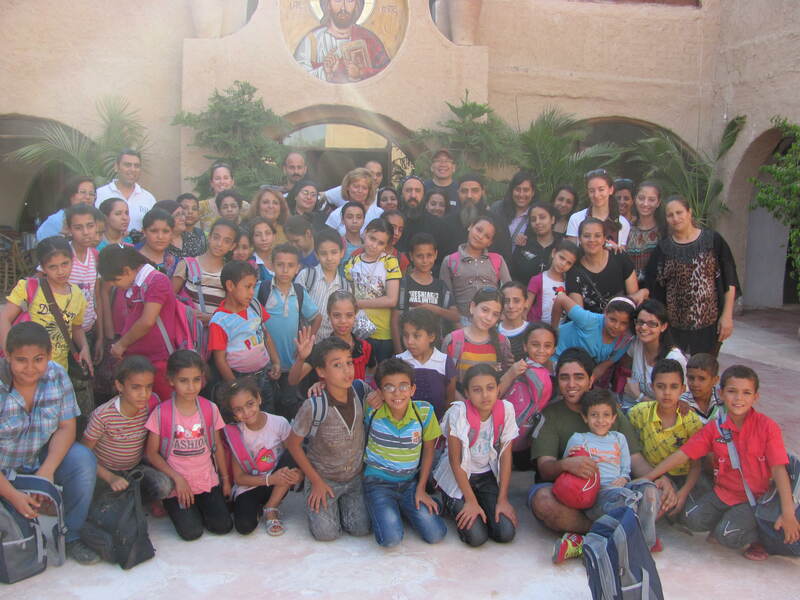 For each child, we prepared a personal gift bag filled with various items such as Bibles, t-shirts, tooth brushes, soap, school supplies and small toys for them to take home, along with a packed dinner for the remainder of their trip back. At the end of each day the team debriefed, prepared for the following day, enjoyed a time of prayer and worship together, and built upon their relationship. This time spent together allowed for meaningful conversations around their differing spiritual traditions and practices but also connected them in friendship. By all accounts this pioneering collaborative missions effort was successful, worthwhile, and edifying. It joined a group of Orthodox and a group of evangelicals working together to proclaim the Gospel of Christ, make disciples, and serve children and one another in His name. This joint team created a new community in the Lord, learned from and encouraged one another, grew in understanding and appreciation for our different practices and expressions of faith in Christ, and created an experience to build upon in the future. As violence escalates in Kiev and speads to other parts of Ukraine, church leaders within the country and outside have appealed for a peaceful settlement to the current crisis. Churches are also providing practical help. St. Michael’s Orthodox Church in Kiev (pictured) is now functioning as an emergency hospital. Sadly church leaders from different traditions and jurisdictions find themselves on both sides of the political divide, but their common plea is for an end to violence and a commitment to peaceful negotiations. We request LOI participants to join them in this prayer and to pray also for those who have been bereaved and injured. 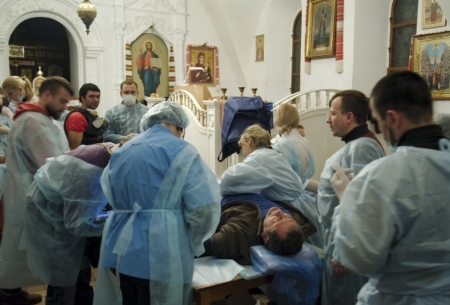 We remember Dr. Sergiy Tymchenko who was with us in Albania and pray for him and his community in Ukraine. Can you write on mission? Let us know if your paper is published so we can provide a link from this website. In a shock statement today the World Evangelical Alliance has announced the cancellation of its planned global Assembly in October this year. The global community of Evangelicals have been planning for several years to meet in Seoul, South Korea, bringing together up to 7,000 particpants under the theme “Following Jesus Christ into the World”. Today’s statement from WEA Director of Membership, Mark Spisak, speaks of a “postponement” but goes on to say that future dates and venue have yet to decided. Many delegates had already made plans to travel to Korea and the WEA has apologised for the inconvenience caused. The phrase within the statement “some may have seen this coming” is probably a reference to some of the difficulties the WEA has faced in its relationships with churches in South Korea itself as well as the emerging divergence of expectations and objectives being established for such a large gathering. The meeting of the WEA Mission Commission in Turkey in May 2014 is unaffected by this announcement. 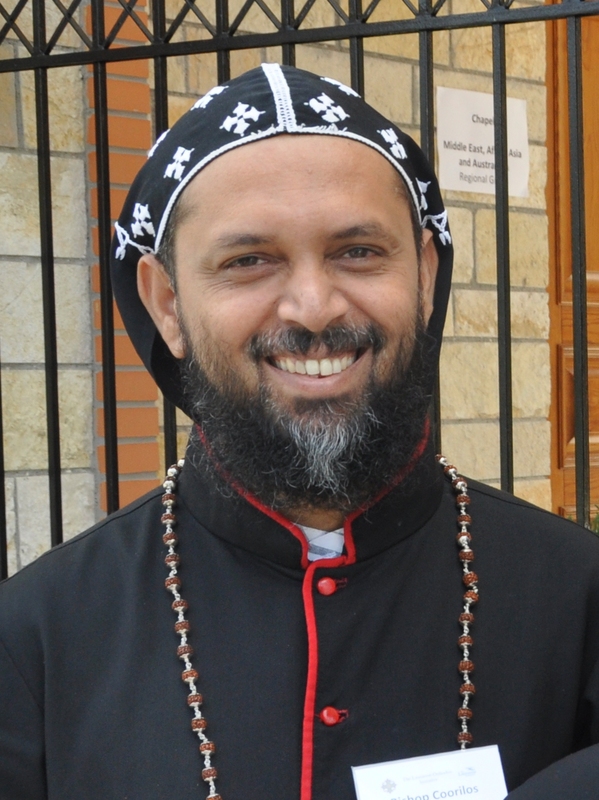 Metropolitan Geevarghese (George) Coorilos who was a participant in the last LOI consultation, and hopes to join us again this year, has just published his reflections on the latest WCC statement on mission. This follows the WCC Assembly in Korea late last year. 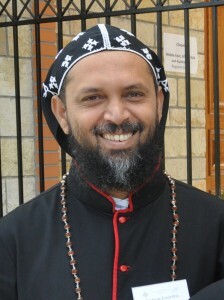 Metropolitan Coorilos, who is also the moderator of the Commission on World Mission and Evangelism, commends the document for its trinitarian theology and Spirit-centred approach to mission. In particular he draws attention to the concept of “mission from the margins”. An Orthodox parish priest from North Carolina, USA, has just published a very interesting book on mission. Fr. Edward Rommen is the priest of Holy Tranfiguration Orthodox Church (within the Orthodox Church in America) in Raleigh/Durham, North Carolina as well as serving as adjunct professor at the Divinity School of Duke University. Having trained in anthropology and theology at Trinity Evangelical Divity School and the Lutheran Faculty of the University of Munich, Germany, Rommen is well qualified to ‘bridge the theological divide’ between Evangelical and Orthodox believers. 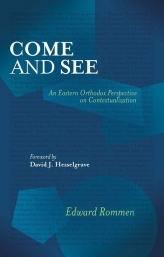 With a specialist interest in contextualization, Rommen’s book is titled, “Come and See: An Eastern Orthodox perspective on contextualization”. Rommen takes a relational approach to mission saying, “The mission of the Church is to introduce the person of Christ to individual human beings who by faith enter into communion with God.” With a focus not on propositional truth but on “truth in person” he speaks of “participation in truth” as the believers’ life is drawn into the life of God. 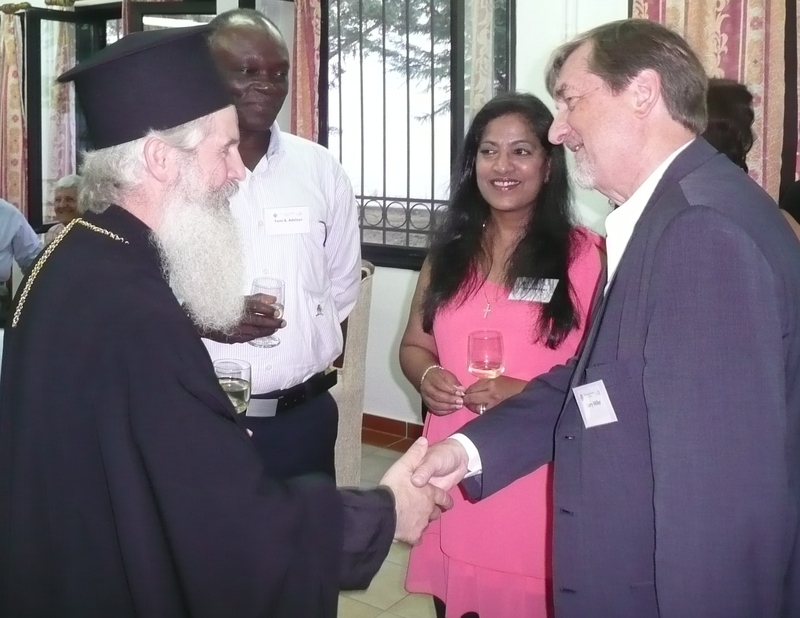 Plans are now well in hand for the Second LOI consultation which will again be held in Albania at the invitation of His Beatitude Archbishop Anastasios. This year we expect around 55 Orthodox and Evangelical leaders to gather for a week in September.